Once the DxR drivers are out Port Royal can be run. 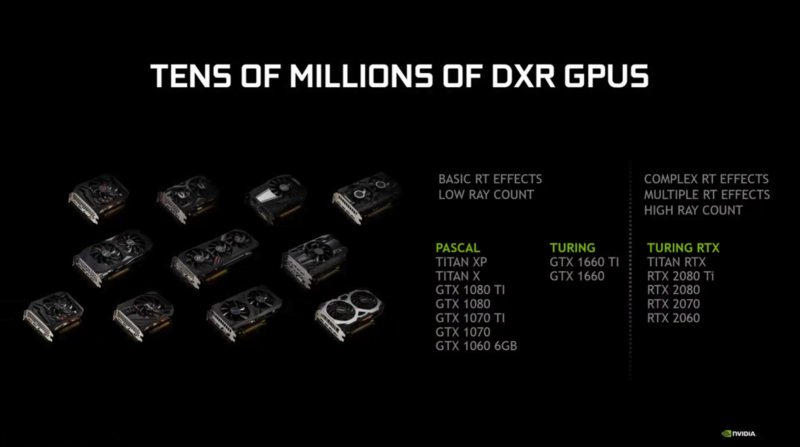 We already saw how horrible the Titan V did compared to the RTX series. The GTX 1080 Ti will be worse. I smell a tesselation like scam incoming. I have a feeling this will be Nvidia taking charge and getting Ray tracing done in a way it will run even worse for AMD. Last edited by dagget3450; 03-18-2019 at 05:13 PM. So you can go from a skateboard to a scooter? so it's so stupid for Dev's to support RTX while DXR is the future(consoles). Well, Crytek will be supporting RT cores. Stupid or not, the performance delta might still be there. All that's left to be seen is how big it is and whether or not their engine is more efficient than competitors' at raytracing. Don't be surprised if you see some sort of ray tracing in next gen consoles. Last edited by WannaBeOCer; 03-18-2019 at 05:47 PM. 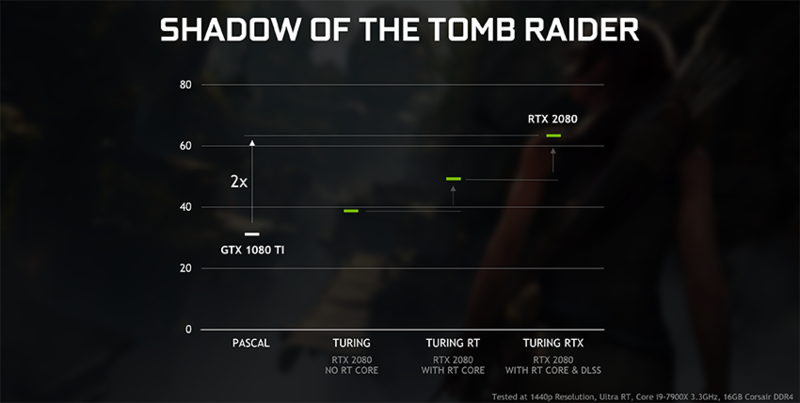 Interestingly, the slide you posted got altered to obviously include the Titan V. This does lend some credence that this is a quick response to the Crytek demo. For those who remember the discussion about the 1060 3GB being an unbalanced card, there you go, no DXR for you. But the point goes farther than that, the RTX 2060 only has 6 GB for its horsepower, less than all the other cards in its surroundings performance-wise, the 1070, 1070 Ti, 1080, Vega 56 and 64, and has to cope with the full RTX effects. It's the same story again, only more expensive. Anyway, now we'll get to see what can visually be achieved without RTX cores and whether it actually makes a meaningful difference one way or another during gameplay. Last edited by tpi2007; 03-18-2019 at 06:18 PM. We already saw the result with Port Royal and Metro Exodus when it comes to DxR. They should of done this from the beginning to show the benefits of RT cores. Also we already know that RT need very fast memory with low latency- so lets wait to see how this limited RT affect will perform on Pascal vs Vega 56/64 and Radeon VII with HBM and FP16 2:1. Is there an ELI5 on the practical differences between what is done in, say, Metro Exodus and a game with SVOGI?